News: Len recorded 20 points (6-17 FG, 2-6 3Pt, 6-8 FT), 10 rebounds, three assists and three blocks across 31 minutes in Wednesday's 135-134 loss to the Pacers. Impact: Len has now averaged 26.5 points and 9.0 rebounds over the last two games, demonstrating the peak of his performance at the end of the season. While this is what Len could bring to the table for any suitable team, it's more likely his ceiling rather than nightly numbers given his past track record. While not a safe block in the rebuilding process in Atlanta, Len tried to prove his size and worth down the stretch to the front office. News: Len had 11 points (4-6 FG, 2-4 3Pt, 1-2 FT), three rebounds, and one block in 14 minutes during Wednesday's 130-122 win over the 76ers. Impact: Len (foot) had been listed as questionable due to foot soreness but was able to play in this one. He has reached double figures in scoring in six straight showings, but this was the first time in the last four games that he was limited to less than 27 minutes. With Dewayne Dedmon (ankle) out for the season and Omari Spellman (ankle) injured as well, Len seems likely to continue earning a decent share of minutes across the final three games of 2018-19. News: Len (foot) will play Wednesday against the 76ers. Impact: Len was questionable due to foot soreness, but he's ultimately feeling good enough to take the court. He's scored at least 20 points in each of the past two games. News: Len is questionable for Wednesday's game against the 76ers due to bilateral foot soreness, Chris Kirschner of The Athletic reports. Impact: Len played 28 minutes Tuesday, scoring 20 points for a second straight game, but he's picked up an injury in the process. If he's sidelined Wednesday, Deyonta Davis figures to draw a start. News: Len registered 21 points (7-11 FG, 4-5 3Pt, 3-6 FT), five rebounds, three assists, a steal and a block over 28 minutes Tuesday against the Spurs. Impact: Len scored 12 of his 21 points from beyond the arc, where he shot 80 percent. He also contributed across the board, adding to his fantasy totals. The 25-year-old Maryland product is averaging an impressive 13.7 points and 5.3 boards over his previous 1-0 matchups. News: Len totaled 23 points (10-15 FG, 3-6 3Pt) and six rebounds across 27 minutes in the Hawks' overtime victory over the Bucks on Sunday. Impact: Len contributed a sizeable point total in Sunday's victory on an efficient 10-15 shooting, nailing three triples in the process. Len has the ability to pop off for big scoring nights, but his production hasn't been consistent on a night-to-night basis this season. News: Dedmon (ankle) will miss the remainder of the season due to ongoing soreness in his left ankle, Chris Vivlamore of the Atlanta Journal-Constitution reports. Impact: The good news is that Dedmon will avoid surgery, but he'll still undergo a procedure to address the issue that's plagued him on-and-off this season. In Dedmon's absence, expect Alex Len to pick up increased minutes at center down the stretch. News: Dedmon (ankle) won't play in Sunday's game against Milwaukee. Impact: Dedmon has been ruled out of Sunday's game due to left ankle soreness. In his place, look for Alex Len to see an increased workload. News: Dedmon totaled 18 points (6-8 FG, 2-4 3Pt, 4-4 FT), nine rebounds, one assist and one steal across 23 minutes in the Hawks' win over the Pelicans on Tuesday. Impact: Dedmon just missed a double-double in Tuesday's win, scoring 18 points and grabbing nine boards. Over his last five games, Dedmon is averaging a healthy 14.2 points and 9.4 rebounds in 25.4 minutes. He's on a roll right now, and the production is certainly sustainable with the Hawks playing well and winning their last three games. News: Plumlee will undergo arthroscopic surgery on his injured left knee and be sidelined for the rest of the season, Chris Vivlamore of The Atlanta Journal-Constitution reports. Impact: Plumlee has been sidelined since December with soreness in his left knee and remained without a clear timetable since then. The Hawks should have an update on Plumlee's timetable once the operation is complete, but it is unclear as to what the big man's future in the league is. Given that Plumlee will be on an expiring contract next season, he may be a valuable trade asset for the Hawks should they want to make improvements to their young core in the offseason. News: Plumlee (knee) will remain out Tuesday against the Pelicans. Impact: No surprise here, as Plumlee has not played since New Year's Eve. At this point, it's fair to question whether we'll see him on the court again this season. News: Len totaled 14 points (6-13 FG, 1-5 3Pt, 1-1 FT), four rebounds, one assist and a block across 30 minutes in the Hawks' win over the 76ers on Saturday. Impact: Len had a solid outing on Saturday, scoring 14 and doing a little bit across the stat sheet. His minutes and usage have been very inconsistent this year, making him a deep league play only. News: Dedmon generated 18 points (6-8 FG, 3-3 3Pt, 3-4 FT), nine rebounds, three blocks and two assists in 28 minutes Thursday in the Hawks' 117-114 win over the Jazz. Impact: It was a strong outing across the board for Dedmon, who shot well from the field, three-point range and the charity stripe and put up good numbers on the defensive end. The center's playing time remains somewhat variable from game to game, but aside from a poor field-goal percentage, he's generally been useful on the whole since returning from a two-game absence due to a knee injury earlier this month. In his first six games back from injury, Dedmon is nearly averaging a double-double (9.2 points, 9.2 rebounds) while chipping in 1.5 assists, 1.5 steals, 1.5 triples and 1.0 block. News: Plumlee (knee) is out Thursday against the Jazz. Impact: There had been news of Plumlee making progress, and it seemed he might be nearing a return. However, the big man will continue to be on the shelf for the time being. His next chance to play arrives Saturday against the 76ers. News: Dedmon finished with 10 points (4-10 FG, 2-6 3Pt), 14 rebounds, two assists and two steals over 25 minutes in the Hawks' loss to the Magic on Sunday. Impact: Dedmon continues to play on a minutes restriction while dealing with knee problems, but he didn't seem to be affected by the injury in Sunday's loss. He produced his second-highest rebounding total of the season after grabbing 13 boards on Saturday night at Boston. Dedmon isn't a consistent scorer or rebounder, but he's been prone to stretches of high-level production, so fantasy owners should continue to roll with him while he's hot. News: Plumlee (knee) has been ruled out of Sunday's game against the Magic. Impact: Plumlee has been inching closer to a return but has yet to see the court in 2019. His next chance to play will be Tuesday's tilt against the Rockets. News: Plumlee (knee) is out Saturday against the Celtics, Kevin Chouinard of the Hawks' official site reports. Impact: Plumlee began contact work recently, so a return is expected relatively soon. That said, he'll remain out until at least Sunday's game against the Magic. 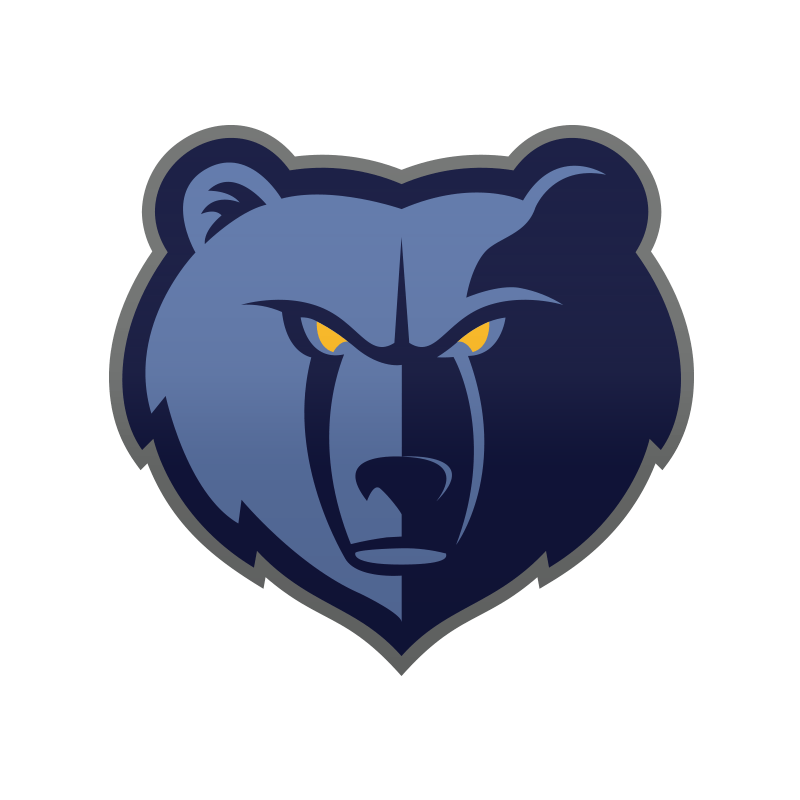 News: Len registered 20 points (8-13 FG, 2-5 3Pt, 2-4 FT), eight rebounds, four assists and two blocks across 23 minutes in Wednesday's 132-111 victory over the Grizzlies. Impact: Len was relegated to a bench role after starting the past five contests, but his production was right on par with what he was doing with the starters. He has proven that when called upon, he can produce double-doubles down low, but don't expect more than a 50 percent shooting percentage and peripheral statistics to support his play. News: Dedmon had eight points (3-7 FG, 2-3 3Pt), six rebounds, two steals, and one assist in 20 minutes during Sunday's 128-116 win over the Pelicans. Impact: Dedmon was expected to have his minutes capped at 20 after missing the last two games with a knee injury, and that's precisely what happened. With Dedmon being among the oldest players on a young rebuilding team, it wouldn't be surprising if his minutes remain fairly limited for the remainder of the campaign. News: Dedmon (knee) will be available for roughly 20 minutes Sunday against the Pelicans, KL Chouinard of Hawks.com reports. Impact: Dedmon is still nursing a bruised knee, but he'll return to action after missing the Hawks' last two contests. Alex Len will remain the starter at center, while Dedmon will be available for limited action off the bench. News: Dedmon (knee) is ruled as probable for Sunday's matchup against New Orleans, Kevin Chouinard of the Hawks' official site reports. Impact: Dedmon has missed the last two contests for the Hawks due to a lingering right knee bruise but being officially tabbed as probable for Sunday's contest, Dedmon may be in line for a likely return. If Dedmon can't give it a go and is ultimately ruled out for a third straight game however, teammate Alex Len will presumably start once again. News: Len managed 15 points (7-14 FG, 1-7 3Pt), four rebounds and a block over 29 minutes in the Hawks' loss to the Nets on Saturday. Impact: Len got the start at center on Saturday, and he turned his 29 minutes into an average stat line. His recent bump in minutes has given way to more productive games than usual, but Len is still not fantasy relevant outside of deep leagues. News: Zeller will be available to play in Saturday's game against the NEts, Brad Rowland of Uproxx reports. Impact: Zeller, who was signed to a 10-day deal Friday, will be available to make his Hawks debut Saturday. He last appeared in the NBA during the 2017 season, during which he averaged 6.7 points and 4.6 rebounds in 68 games split between the Nets and the Bucks. News: Dedmon (knee) is out Saturday against the Nets, BradRowland of Locked on Hawks reports. Impact: As expected, a right knee bruise will prevent Dedmon from playing Saturday. As a result, Alex Len will presumably see more run. The newly-signed Tyler Zeller could also see his first minutes as a member of the Hawks. News: Dedmon (knee) has been downgraded to doubtful for Saturday's game against the Nets, Chris Kirschner of The Athletic reports. Impact: Dedmon appears to be on track to miss his second straight game with a right knee contusion, and with Omari Spellman and Alex Poythress both facing long absences with ankle injuries, the Hawks are going to be very light on frontcourt depth Saturday night. With that, Alex Len will likely continue starting at center while Tyler Zeller, who just joined the team on a 10-day contract, could be in line for quality minutes immediately. News: Plumlee (knee) has progressed to 1-on-1 contact work, Chris Vivlamore of The Atlanta Journal-Constitution reports. Impact: Knee pain has prevented Plumlee from playing since Dec. 31, but it appears he's finally close to a return. That said, he'll still need to move up to 5-on-5 contact work before appearing in games again. News: Dedmon (knee) will be a game-time decision for Saturday's game against the Nets, Chris Kirschner of The Athletic reports. Impact: Dedmon was sidelined for Wednesday's game against the Spurs due to a right knee contusion, and it appears his status for Saturday's game won't be known until closer to tip-off. Should Dedmon be ruled out for a second straight game, Alex Len would again be in line to start at center with newly-signed Tyler Zeller potentially seeing minutes off the bench as well. News: Zeller has agreed to a 10-day contract with the Hawks, Adrian Wojnarowski of ESPN reports. Impact: Zeller is expected to sign the deal Friday, which means he could be available for the Hawks' game Saturday against one of his former teams in the Nets. Zeller spent last season as a member of both Brooklyn and Milwaukee, appearing in 66 games and averaging 6.7 points and 4.6 rebounds across 16.8 minutes. Atlanta is dealing with some injuries to its frontline, including Dewayne Dedmon (knee) and Omari Spellman (ankle), so Zeller could certainly see some minutes for the Hawks in the meantime. News: Len accumulated 11 points (4-8 FG, 2-5 3Pt, 1-2 FT), seven rebounds, two assists and a steal over 29 minutes in the Hawks' loss to the Spurs on Wednesday. Impact: Len was given a bump in minutes once again with Dewayne Dedmon (knee) still out and John Collins (illness) on a minutes restriction. Len has been a cheap daily punt play when afforded extra playing time, but his value will fade quickly once Dedmon and Collins return to full health. News: Dedmon (knee) has been ruled out for Wednesday's game against the Spurs, Kevin Chouinard of the Hawks' official site reports. Impact: Dedmon was tagged as doubtful prior to Wednesday's game, so his absence comes as no surprise. As a result, Alex Len, who started at center in each of the last two games, will now likely remain in the starting lineup despite the return of John Collins (illness). It will also potentially result in Alex Poythress continuing to get extended frontcourt minutes off the bench. News: Plumlee (knee) has been ruled out for Wednesday's game against the Spurs, Chris Vivlamore of The Atlanta Journal-Constitution reports. Impact: Plumlee still hasn't taken the court since Dec. 31 due to knee pain, so it's unsurprising that he's won't play Wednesday. He remains without a timetable for his return. News: Dedmon is listed as doubtful for Wednesday's game against Cleveland due to a right knee contusion, Chris Vivlamore of The Atlanta Journal-Constitution reports. Impact: Dedmon likely picked up the injury in Atlanta's last matchup Monday against Miami, and it looks like he'll be shelved for Wednesday's clash, which would leave the Hawks rather thin in the frontcourt. John Collins (illness) is questionable and Omari Spellman (ankle) is out, so Vince Carter, Justin Anderson and Alex Len would figure to be in store for extended playing time, assuming Dedmon is indeed ruled out. News: Dedmon recorded 14 points (5-6 FG, 2-3 3Pt, 2-4 FT), six rebounds, two assists and three steals in 27 minutes Monday against Miami. Impact: Dedmon maintained his recent scoring success, although he was unable to secure his third straight double-double in a 114-113 loss on the road. He's averaging 11.4 points along with 9.4 boards and 2.4 assists over his previous five contests and should continue to serve as a reliable source of both points and rebounds as part of a young Atlanta squad. News: Dedmon (shin) will be available for Monday's game against the Heat. Impact: Dedmon popped up on the injury report with a minor shin injury, but he's been cleared to play and is expected to start at his usual center spot. News: Len (knee) will be available for Monday's game against the Heat. Impact: As expected, all of the Hawks who were initially listed as probable have been cleared to play, and Len could see a slight bump in minutes with John Collins now officially ruled out. News: Plumlee (knee) is listed as out for Monday's game against the Heat. Impact: Plumlee (knee) is without a timeline to return from the sore left knee, which has kept him sidelined since Dec. 31. News: Len (knee) is listed as probable for Monday's game against Miami. Impact: Len picked up a bruised knee in Friday's loss to Chicago, but he still started Sunday's rematch and played 27 minutes in the Hawks' 123-118 victory. With John Collins (illness) likely out Monday, Len could be in line to make another start alongside Dewayne Dedmon (shin), who's also considered probable. News: Dedmon (shin) is considered probable for Monday's game against the Heat, Chris Vivlamore of the Journal-Constitution reports. Impact: All indications are that Dedmon will play, but the Hawks are always extra-cautious with their injury report and have four regulars listed as probable. With John Collins (illness) expected to remain out, Dedmon could be set for a slightly increased role. News: Dedmon delivered 13 points (4-9 FG, 0-2 3Pt, 5-7 FT), 12 rebounds, two assists, and one steal in 27 minutes during Sunday's 123-118 win over the Bulls. Impact: Dedmon recorded his second straight double-double and has hauled in double-digit boards in three straight games. He's up to 10 double-doubles through 54 appearances this season compared to 15 across 62 games in 2017-18. With 18 tilts remaining, it's unlikely that Dedmon matches or surpasses his best double-double total of his career, but the 29-year-old veteran continues to earn ample minutes even on a young squad in rebuilding mode. News: Len collected 28 points (9-18 FG, 5-8 3Pt, 5-8 FT), nine rebounds, two assists, and two blocks in 27 minutes during Sunday's 123-118 win over the Bulls. Impact: Len had been listed as probable after he suffered a knee injury during Friday's loss to the Bulls. However, it clearly didn't bother him much, as he amassed a season high scoring total. Len has now posted 52 points across the last two contests, and this is the fifth time through 60 appearances that he has scored at least 20 points this season. It's unlikely that John Collins (illness) will remain sidelined for much longer, but Len has certainly made the most of the opportunities provided by the sophomore's recent absence. News: Len (knee) will play in Sunday's game against the Bulls. Impact: Len suffered a knee injury in Friday's four-overtime game against the Bulls, however the injury doesn't seem to be an issue going forward. Len could see a larger role than usual, as the Hawks are dealing with a number of frontcourt injuries. News: Len (knee) is listed as probable for Sunday's game against the Bulls, Kevin Chouinard of the Hawks' official site reports. Impact: Len appears to have suffered a left knee contusion during the quadruple-overtime loss to the Bulls on Friday. 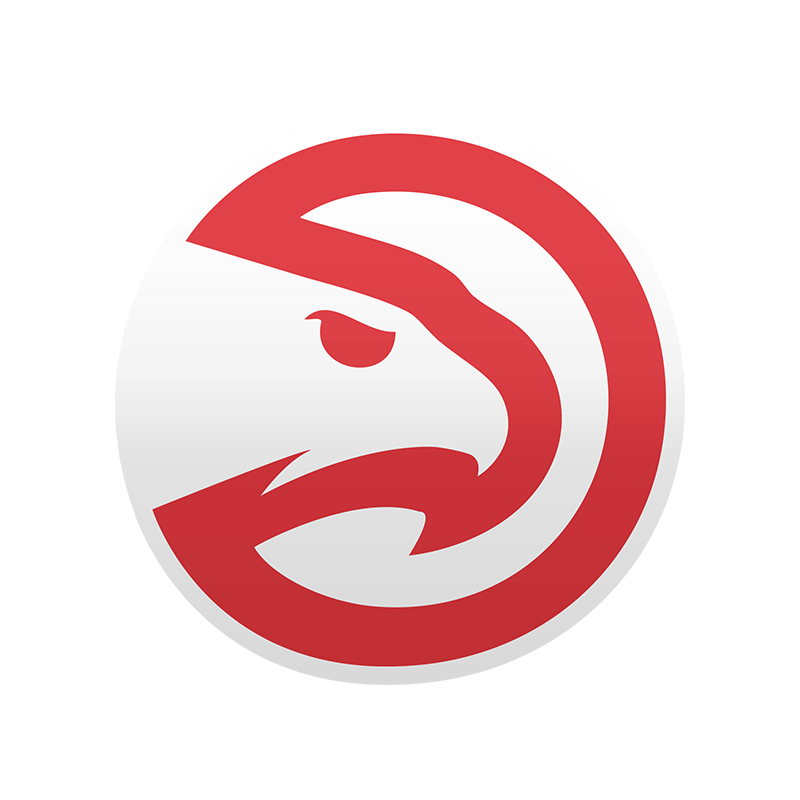 If Len's unable to go, Dewayne Dedmon would be in line for heavy minutes as the Hawks are relatively limited in their frontcourt with John Collins (illness) likely out and Omari Spellman (ankle) definitely out Sunday. News: Plumlee (knee) has been ruled out for Wednesday's game against Minnesota, Kevin Chouinard of the Hawks' official site reports. Impact: Plumlee still isn't ready to play, as he's slated to miss his 26th straight contest due to a left knee injury. Atlanta still hasn't released a firm timetable for his return, so he'll continue to be considered day-to-day moving forward. News: Plumlee (knee) has been ruled out for Monday's game against Houston, Kevin Chouinard of the Hawks' official site reports. Impact: Plumlee hasn't taken the court since Dec. 31 due to left knee pain, and the timetable for his return remains murky. He'll continue to be monitored on a daily basis moving forward. News: Plumlee (knee) is out Saturday against Phoenix. Impact: Despite not playing since Dec. 31, Plumlee remains day-to-day, and the Hawks have no established an expected timetable for a return. In the 18 games he's appeared in, Plumlee has averaged 4.4 points and 2.2 rebounds in 9.6 minutes. News: Dedmon finished with 14 points (5-9 FG, 1-2 3Pt, 3-3 FT), 12 rebounds, three blocks, two assists and a steal over 23 minutes in the Hawks' loss to the Pistons on Friday. Impact: Dedmon had a solid outing in Friday's loss, posting his first double-double since Jan. 28. It was only Dedmon's eighth double-double of the season, and fantasy owners shouldn't expect this level of production on a nightly basis. News: Plumlee (knee) is listed as out for Friday's game against the Pistons. Impact: Plumlee, who has not played since Dec. 31, is being considered on a game-by-game basis despite the fact that he is apparently not back to practicing in a full capacity. It's unclear exactly when Plumlee will be medically cleared, but he likely won't be seeing much of the floor even when he is active. News: Dedmon totaled 21 points (6-10 FG, 4-7 3Pt, 5-5 FT), two rebounds, one steal and one block over 26 minutes in the Hawks' loss to the Knicks on Thursday. Impact: After totaling a combined 17 points in his last two games, Dedmon popped off for his highest point total since Jan. 21. Dedmon is averaging career highs in points (10.3), free throw percentage (85.1) and three-point percentage (38.1), although fantasy owners should note that this was only his third game scoring at least 20 points in a game this season. News: Plumlee (knee) is out Thursday against the Knicks, Kevin Chouinard of the Hawks' official site reports. Impact: According to coach Lloyd Pierce, "[Plumlee] is getting another evaluation but he is progressing... He is still doing his individual work and getting shots up." The big man hasn't played since Dec. 31 against the Pacers, and it's unclear when he'll make his return. News: Plumlee (knee) is listed as out for Tuesday's game against the Lakers, Kevin Chouinard of the Hawks' official site reports. Impact: Plumlee has been sidelined since Dec. 31 due to knee soreness. Until the Hawks provide an update regarding his status, the big man will continue to be evaluated on a game-to-game basis, with Thursday's contest against the Knicks marking his next opportunity to take the court. News: Plumlee (knee) will remain sidelined Sunday against Orlando, Kevin Chouinard of the Hawks' official site reports. Impact: Plumlee hasn't played in a game since Dec. 31 and the streak will continue past Sunday. Plumlee's next chance at a return will be Tuesday against the Lakers. News: Plumlee (knee) is out for Saturday's game against Charlotte, Kevin Chouinard of the Hawks' official site reports. Impact: Plumlee hasn't played yet in 2019 but remains day-to-day moving forward. The Duke product may be cleared to return to action for Sunday's contest. News: Plumlee (knee) will remain out Thursday against the Raptors. Impact: Despite being out since Jan. 2, Plumlee remains day-to-day. His next chance to take the floor arrives Saturday against the Hornets. News: Plumlee (knee) was ruled out for Monday's game against the Wizards, Kevin Chouinard of the Hawks' official site reports. Impact: Plumlee has been battled left knee soreness since the start of January and will miss his 17th straight game. The 30-year-old remains without an official return timetable with his next chance to retake the court coming Thursday against the Raptors. News: Plumlee (knee) won't play Saturday against Phoenix. Impact: Left knee soreness will keep Plumlee out for another game. The big man has been sidelined since Jan. 2. News: Dedmon produced 15 points (5-9 FG, 3-6 3Pt, 2-2 FT), seven rebounds, three steals, two assists, and one block in 28 minutes during Friday's 128-112 loss to the Jazz. Impact: Dedmon filled up the boxscore Friday, continuing to play well amidst the whispers of a potential trade. Barring his last game, Dedmon has been a consistent source of points, rebounds, steals, and blocks, despite playing time in the mid-twenties. Owners will have to keep an eye on things as the trade deadline approaches in the hope he can maintain a similar role moving forward. News: Plumlee (knee) is listed as out for Friday's game against the Jazz, Kevin Chouinard of the Hawks' official site reports. Impact: The big man will miss another game as he continues to nurse a sore left knee. Plumlee hasn't played all month and remains without a timetable for his return. His next chance to play will come Saturday against the Suns. News: Plumlee (knee) will not play Wednesday against the Kings. Impact: Plumlee continues to miss an extended period of time due to left knee soreness. His next chance to play arrives Friday against the Jazz. News: Dedmon tallied 13 points (6-8 FG, 1-3 3Pt) 10 rebounds, two assists, and one block in 27 minutes during Monday's 123-118 victory over the Clippers. Impact: Dedmon racked up another double-double Monday, helping the Hawks to an upset victory over the Clippers. He continues to start but typically splits minutes with Alex Len which does limit his upside. There have been rumors of a trade coming but until then, he is worth rostering in basically all formats. News: Len totaled 19 points (7-12 FG, 0-1 3Pt, 5-6 FT), nine rebound,s three assists, one steal, and one block in 21 minutes during Monday's 123-118 victory over the Clippers. Impact: Len was impactful off the bench Monday, falling just one rebound short of another double-double. Over the past two weeks he is the 71st ranked player in standard formats in under 20 minutes per game. He is not going to exceed more than about 22 minutes on any given night but is worth a look if you need points, boards, and a high field-goal percentage. News: Plumlee (knee) is listed as out for Monday's game against the Clippers. Impact: Plumlee has been sidelined for all of January while contending with left knee pain and doesn't have a clear timeline for a return. The Hawks will likely continue to evaluate his status on a game-to-game basis, though there's little evidence to suggest he's on track to return at any point this week. News: Dedmon ended with 11 points (4-8 FG, 1-4 3Pt, 2-2 FT), four steals, three rebounds, and three blocks in 23 minutes during Saturday's 120-111 loss to Portland. Impact: Dedmon scored in double-digits for the third straight game, also adding a combined seven steals and blocks in the loss. His playing time appears locked in around the mid-twenties, which is typically enough for him to put up standard league value. He has had a couple of injuries thus far but as long as he is healthy, he should be rostered in the majority of 12-team leagues.